Some people are blessed with a mind that can think things through in a linear fashion. 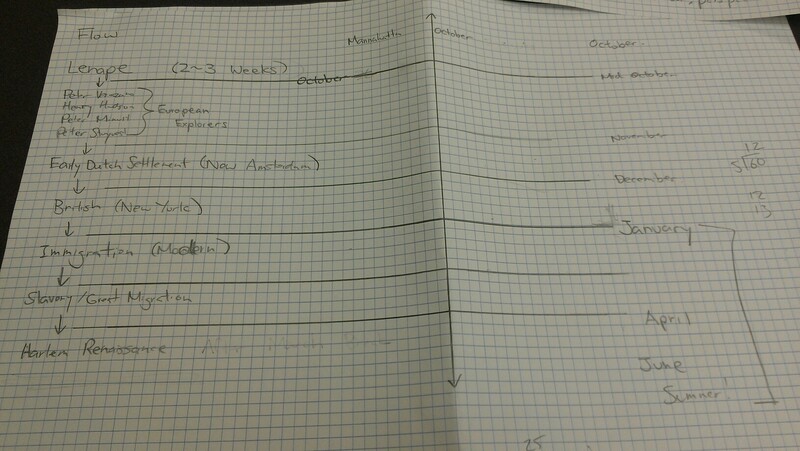 Whether that’s through outlining or creating tables, I’ve seen different ways people organize their thoughts. Unfortunately (fortunately? ), my thought process is a lot messier. My mind wanders from one idea to the next, and the connections aren’t necessarily clear to other people. In addition, I tend to be more of a visual learner, so to organize the mess in my head, I prefer to create Mind Maps, webs, Venn Diagrams, or other graphic organizers. I know there are various apps on the computer and the iPad like Inspiration, MindMeister, IdeaSketch, or a presentation tool like Prezi and it’s not that I’m not a fan of these tools, but sometimes, paper and pencil work better for me. I was introduced to the giant, A3 sized, Rhodia Pad by Don Buckley (@donbuckley) while taking his class, “Managing Educational Technology” from Teachers College. I don’t really think saying that this Rhodia Pad changed my life as an educator is an understatement. I use this notebook to plan units or workshops, come up with a flow for narrative reports I write, draw out configurations of an activity that’s being planned, and much more. An added benefit of this notepad is that I can be as messy as I want. If I can make sense of it, that’s all that matters, I can rework things in a linear fashion after my thoughts are collected. It also allows me to see possible areas where natural and authentic integration across different disciplines can happen. In addition, while planning these units, possible areas for differentiation for individual students become clear as well. Below are some examples of how I have used this for planning and collaborating. 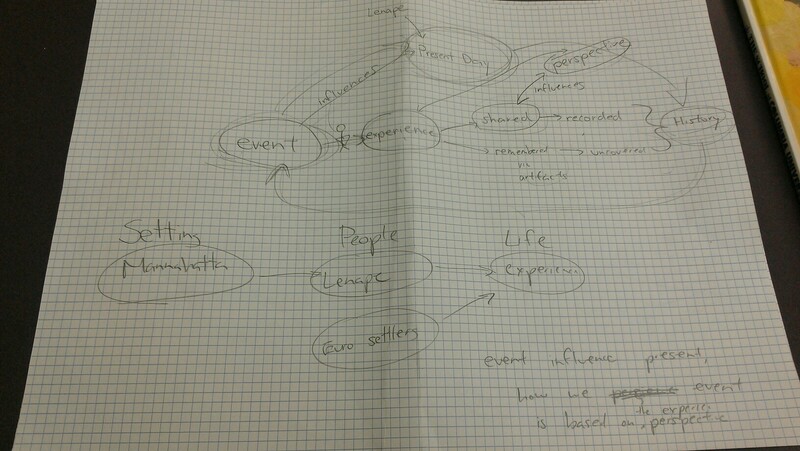 Thinking about connections between the Social Studies curriculum and the concept of Experience mapped out (my way). Organizing webs into a timeline to create a possible flow for our Social Studies Curriculum. The large draw/write space and the grid lines all come together for me so that I can freely express my thoughts on paper. Thus, my mess of a mind is… organized.